Unionists have “nothing to fear” from the Irish and British governments meeting to discuss the future of Northern Ireland, Tánaiste Simon Coveney has insisted. The British-Irish Intergovernmental Conference met in London yesterday for the first time in more than a decade, ahead of renewed efforts to restore power-sharing in Stormont. 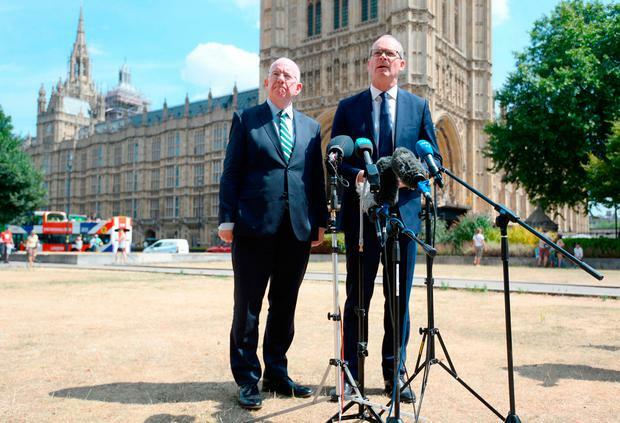 Mr Coveney and Justice Minister Charlie Flanagan agreed with the UK’s Secretary of State for Northern Ireland Karen Bradley and Minister for the Cabinet Office David Lidington that future meetings should take place in the autumn. They discussed a range of topics including legacy issues, security co-operation, east-west bilateral issues and political stability. Both sides agreed to work on proposals for future east-west co-operation, including at ministerial level.